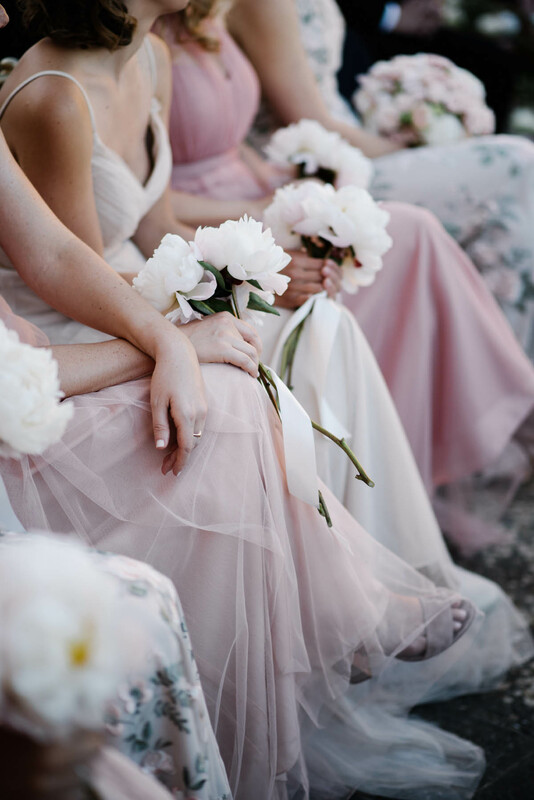 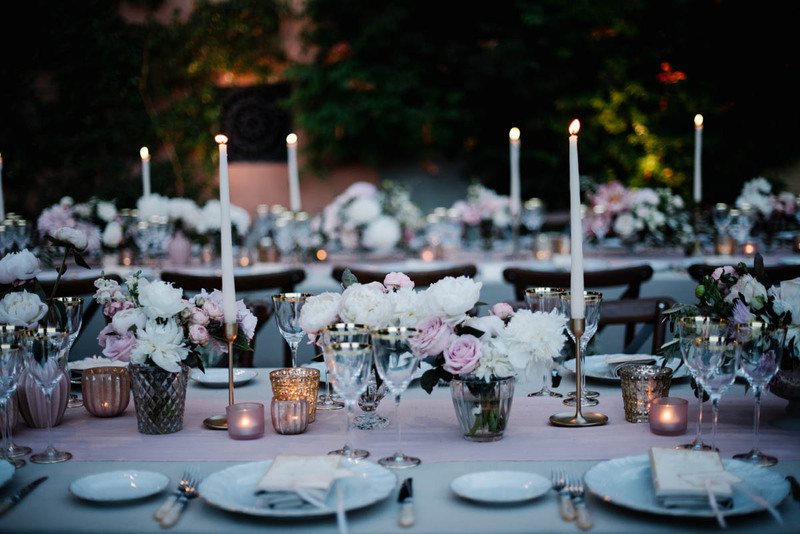 The theme for the wedding day was roses, soft pink roses. 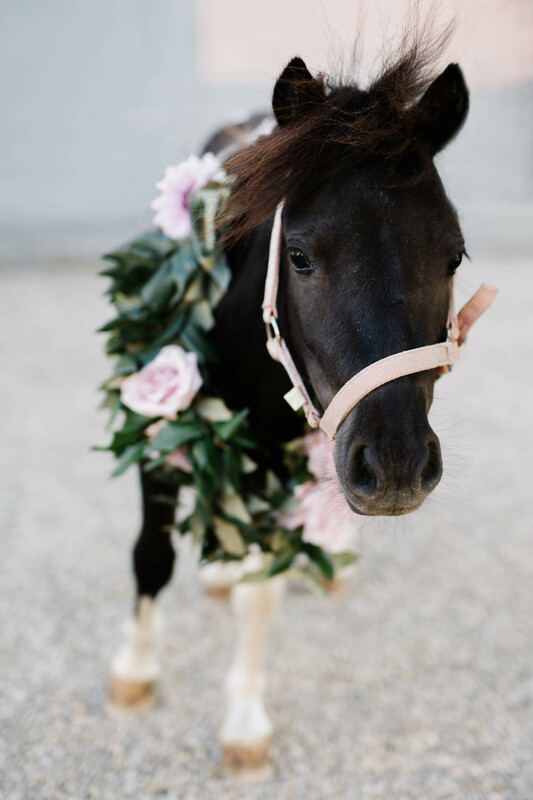 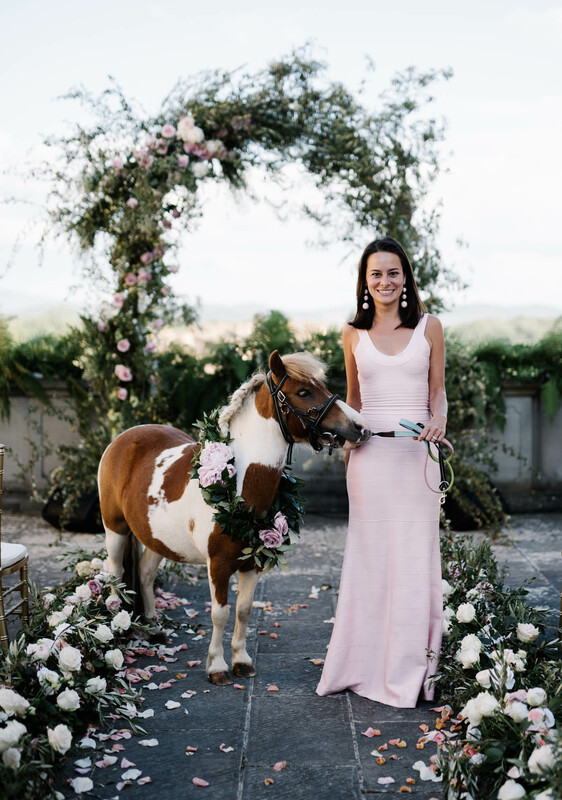 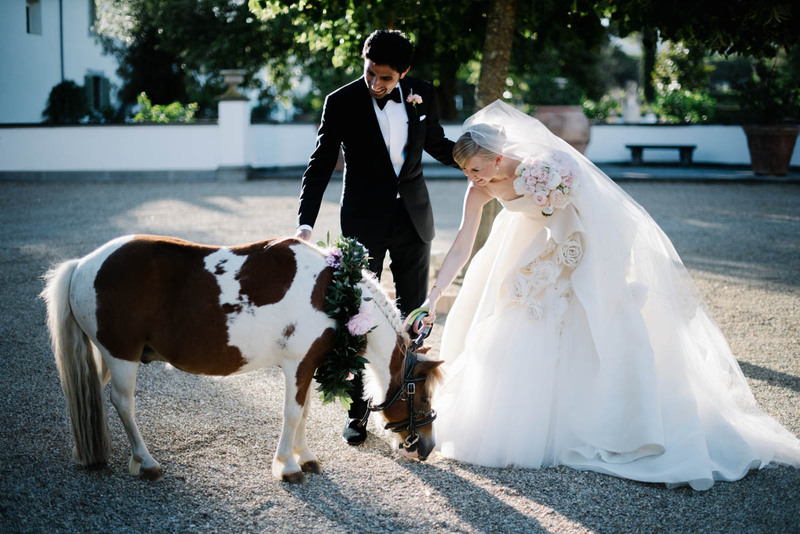 Even the mini ponies at this Tuscan ranch dressed for the occasion. 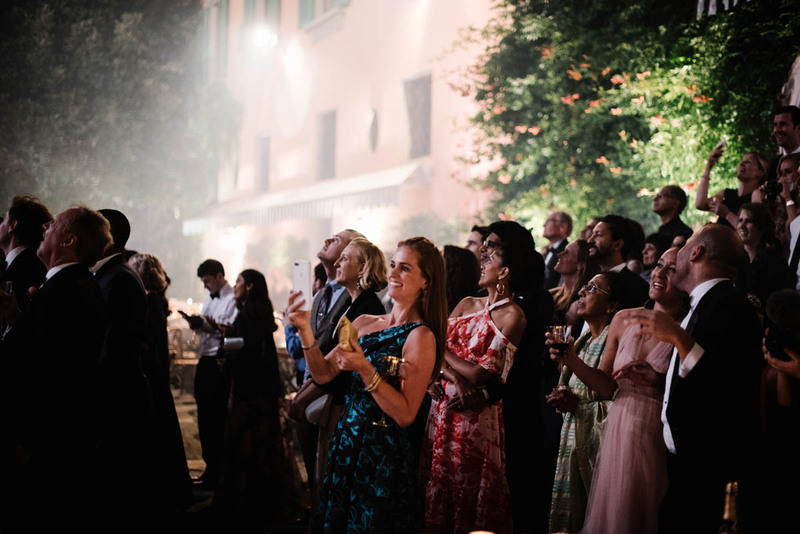 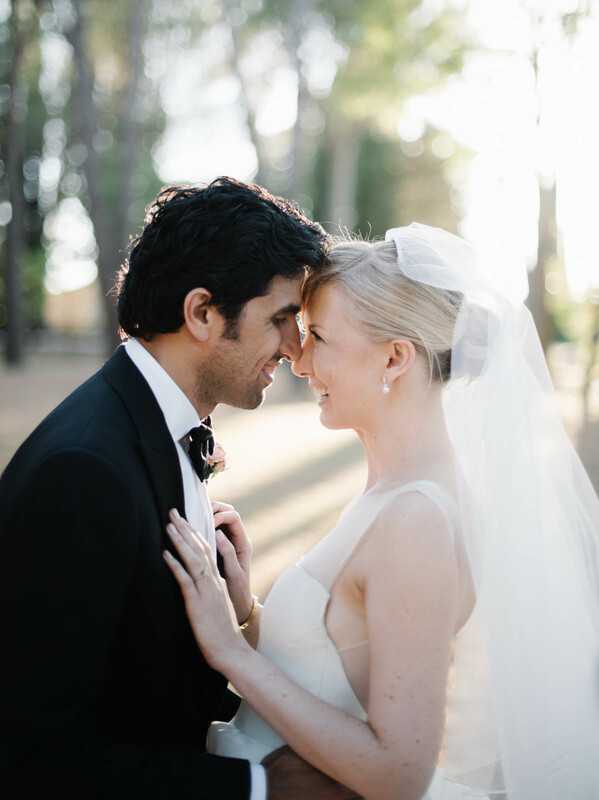 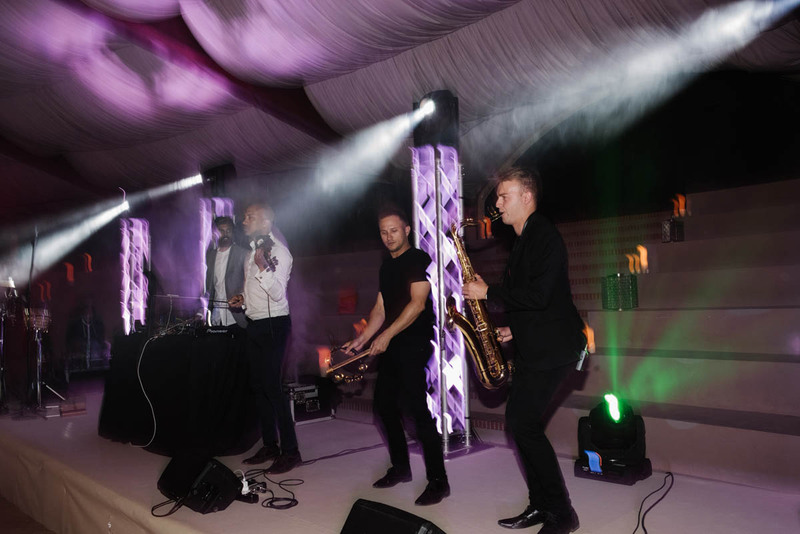 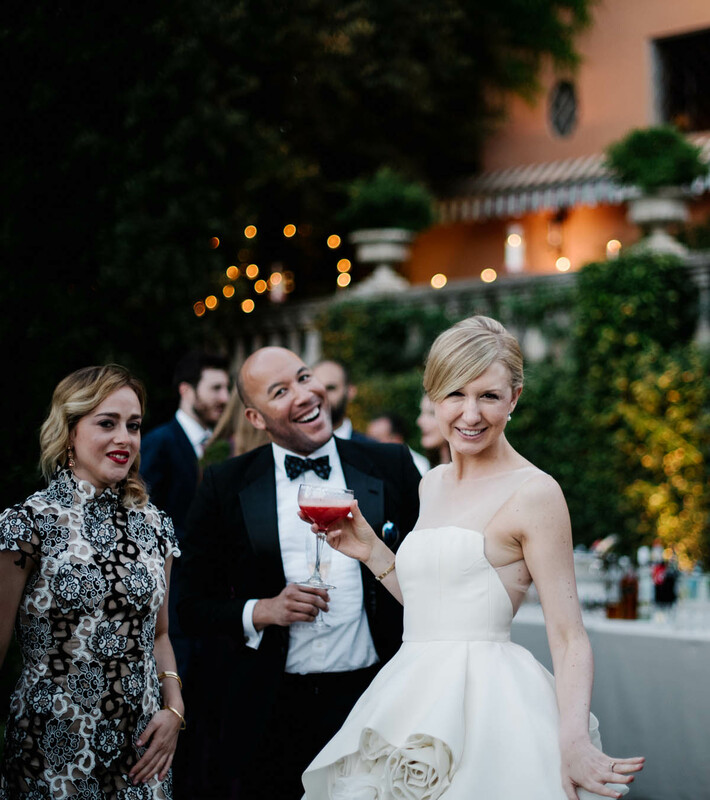 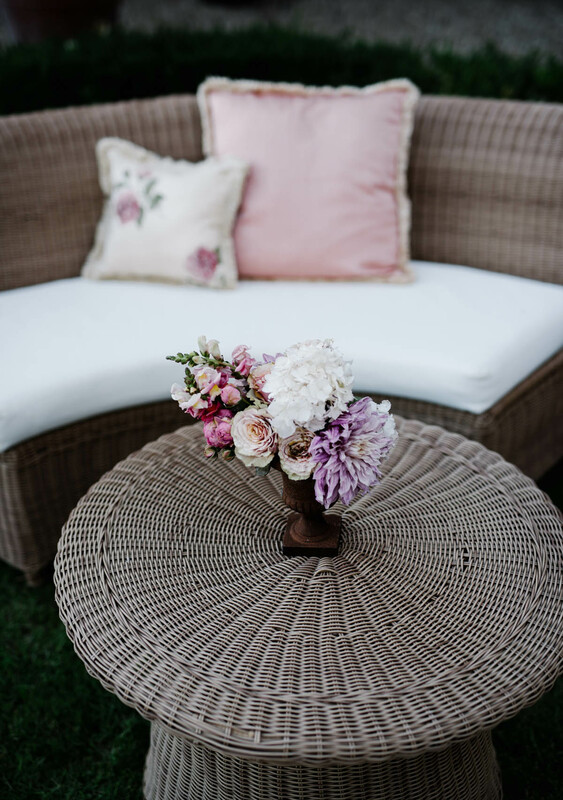 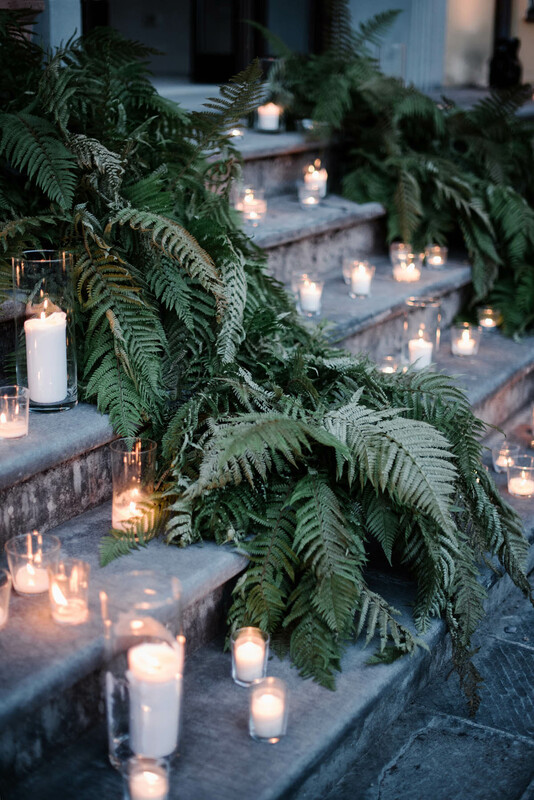 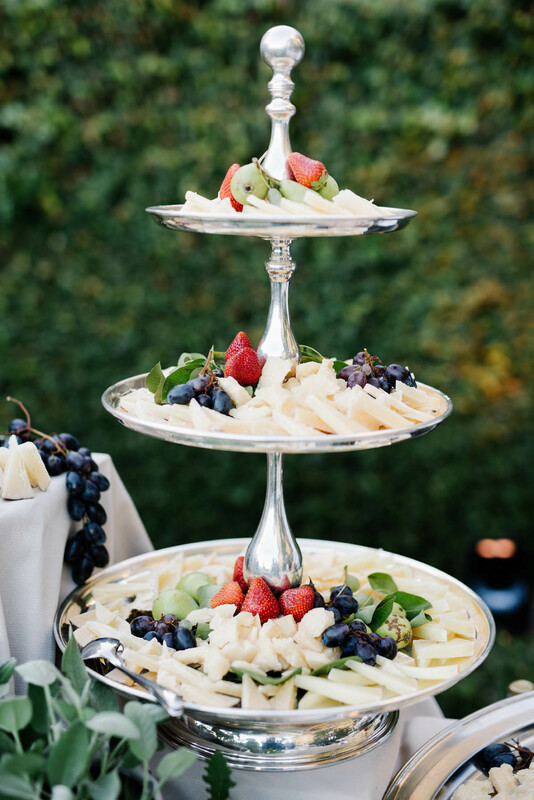 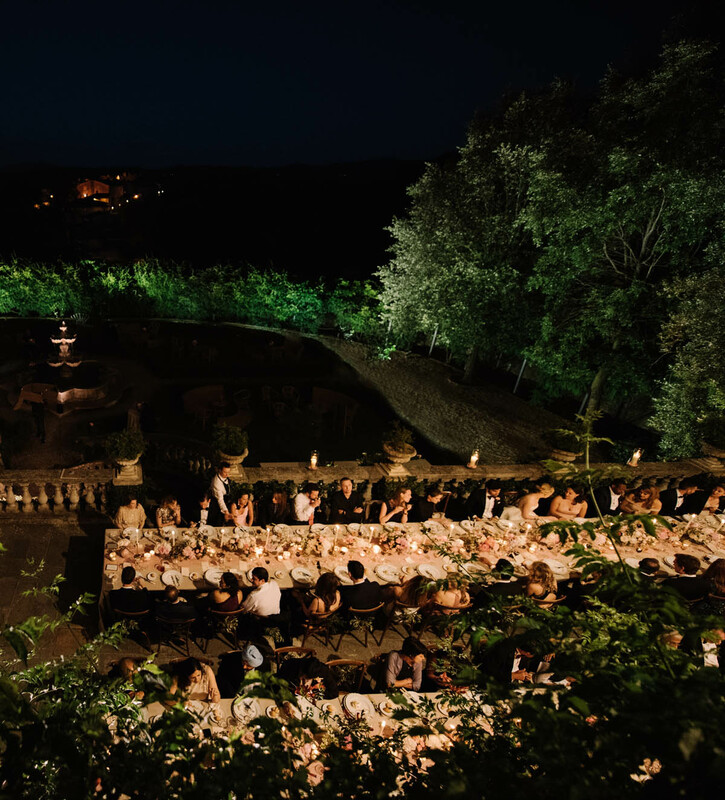 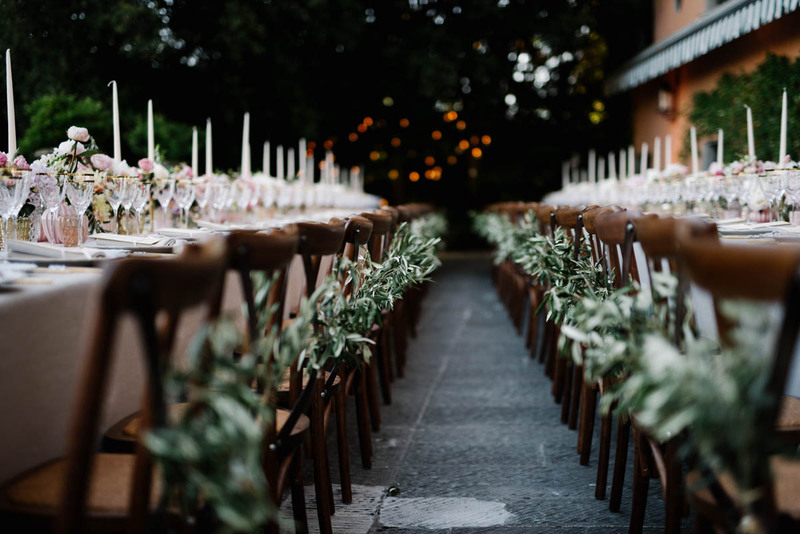 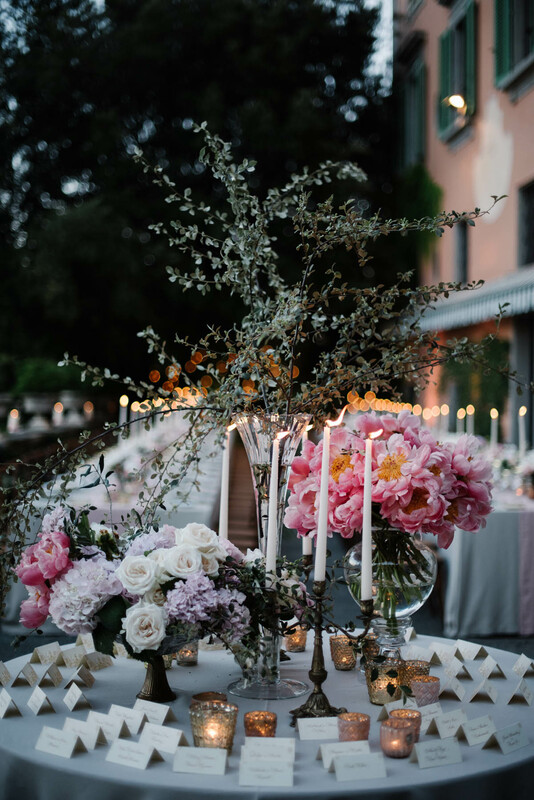 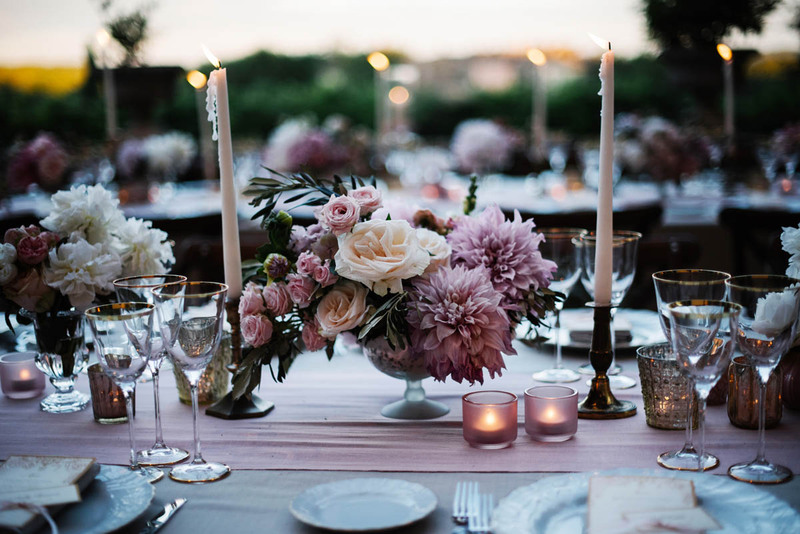 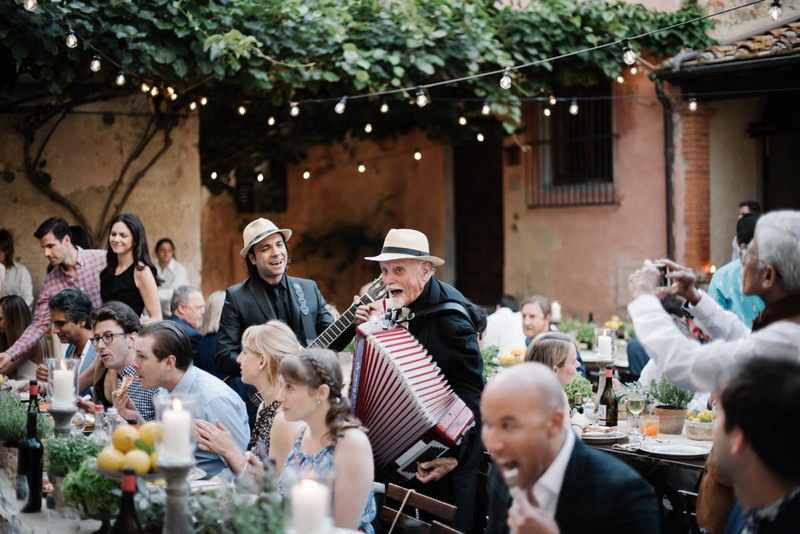 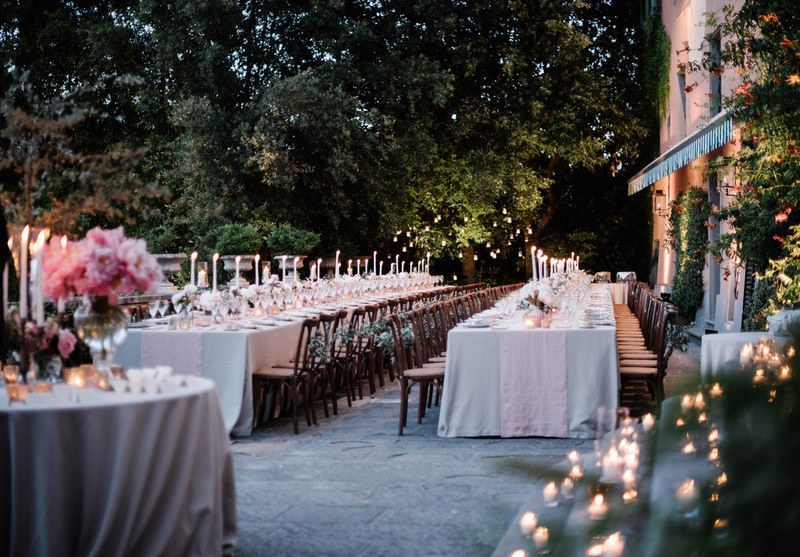 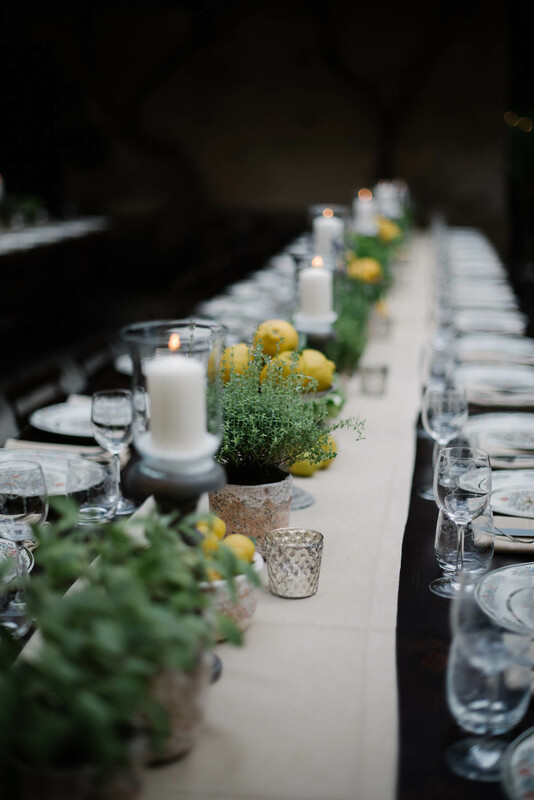 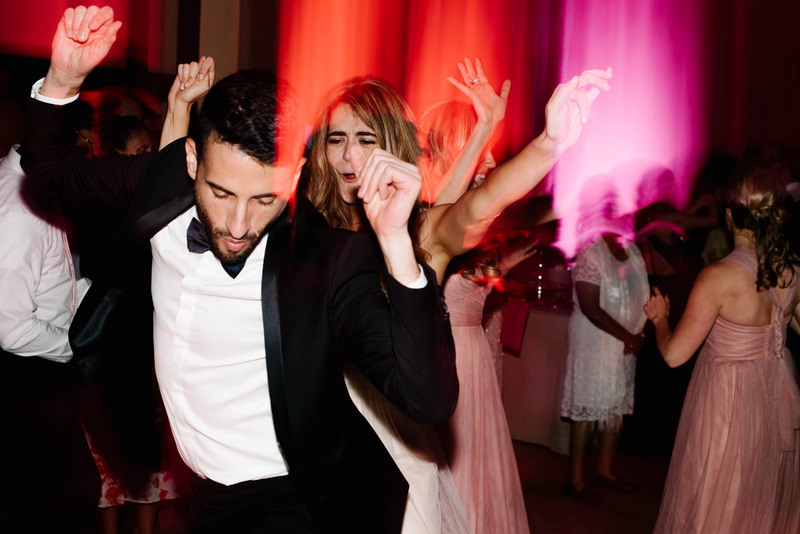 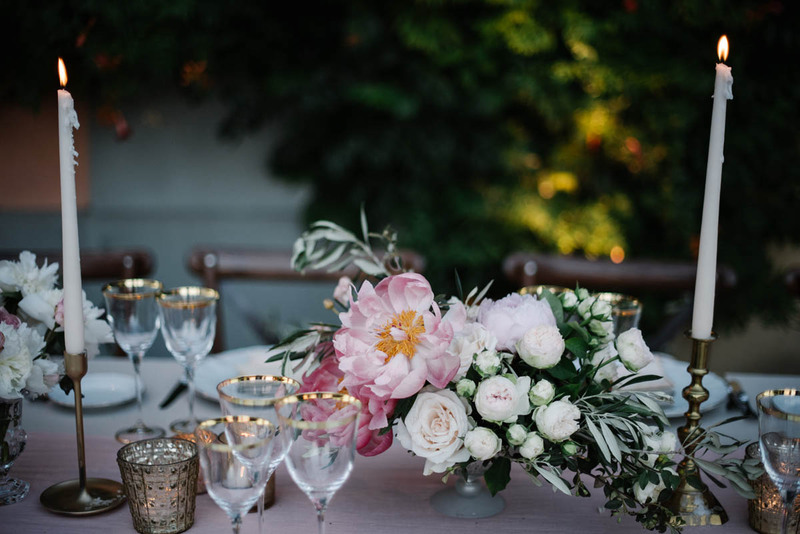 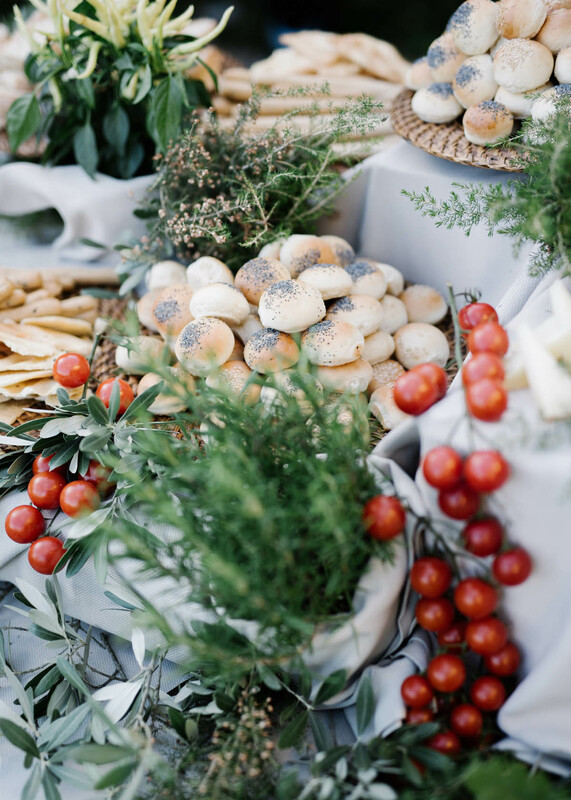 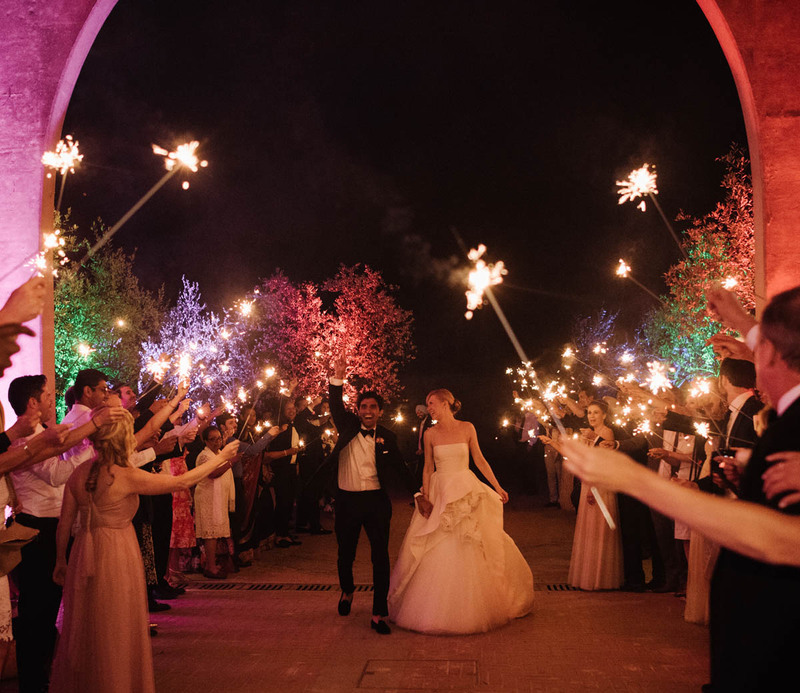 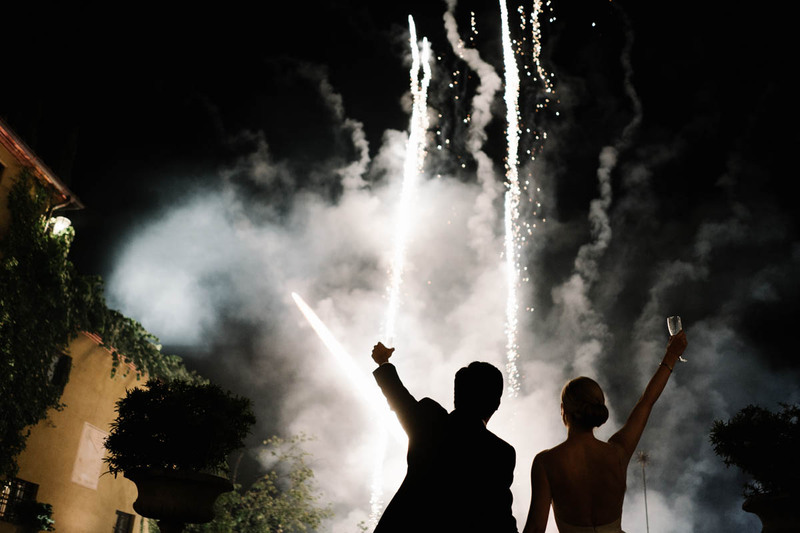 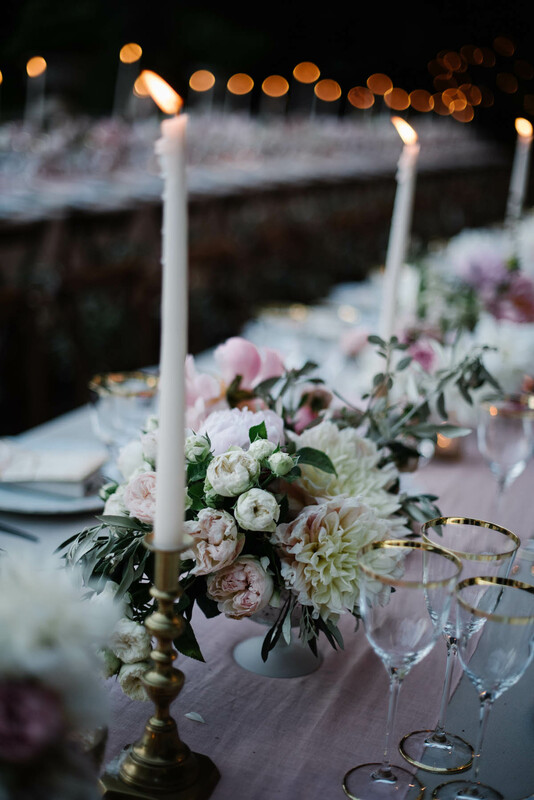 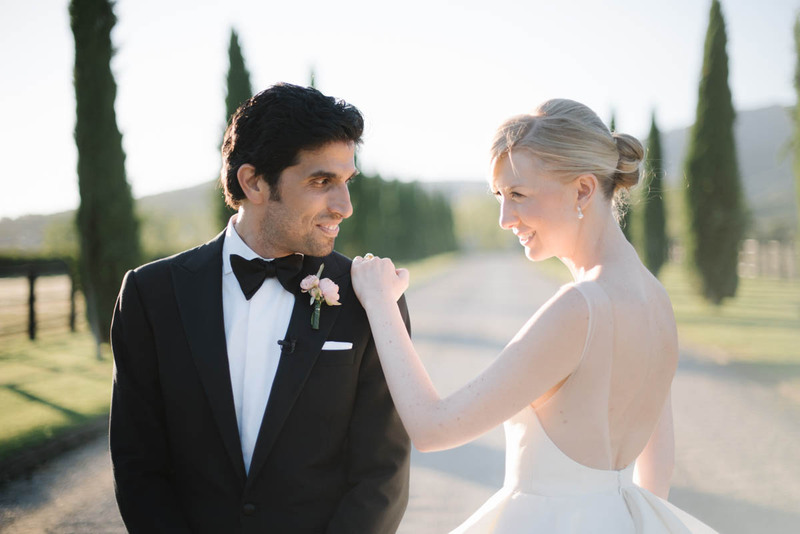 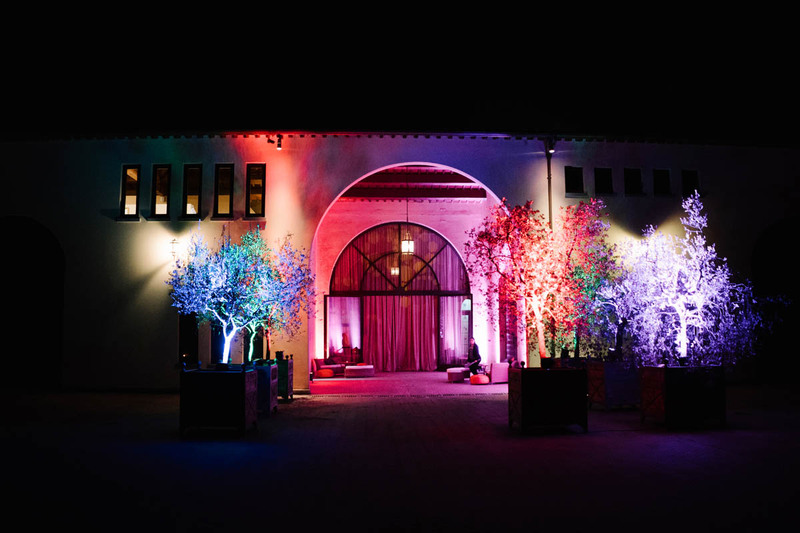 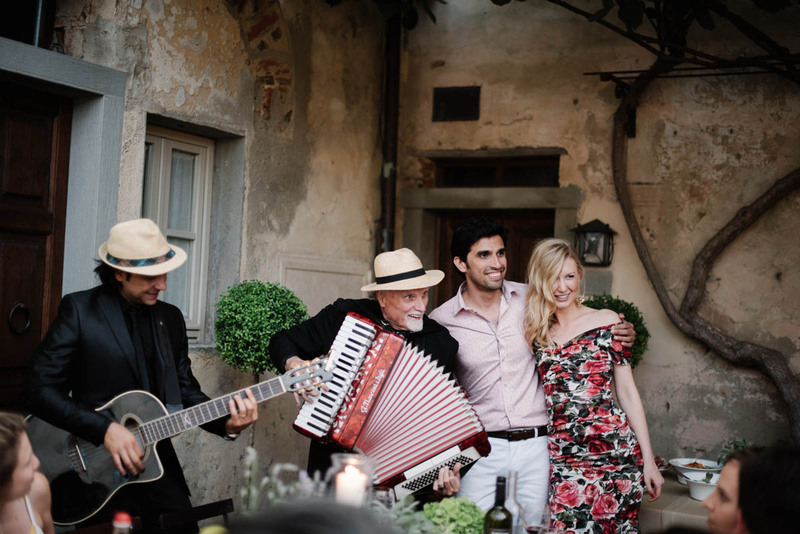 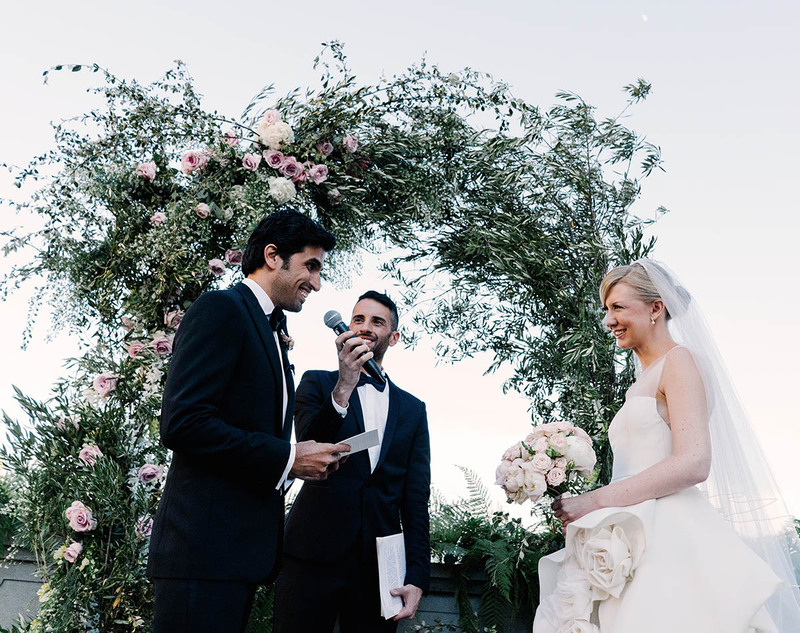 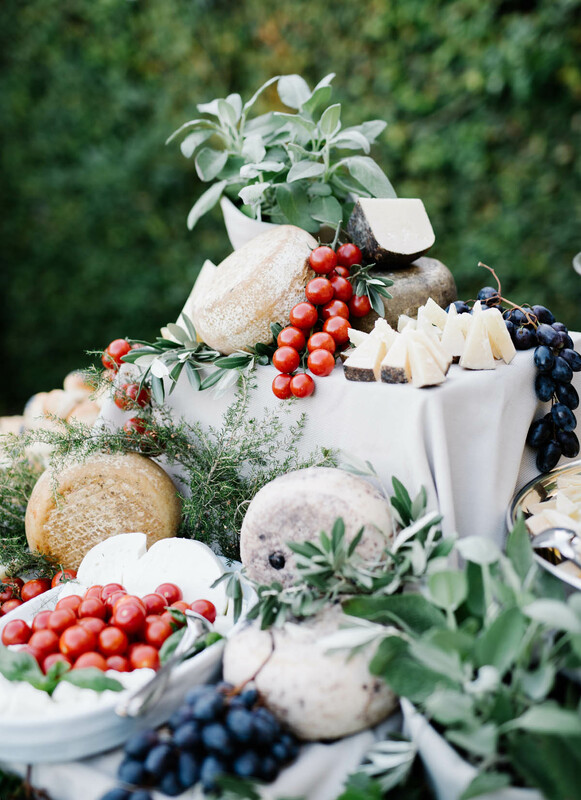 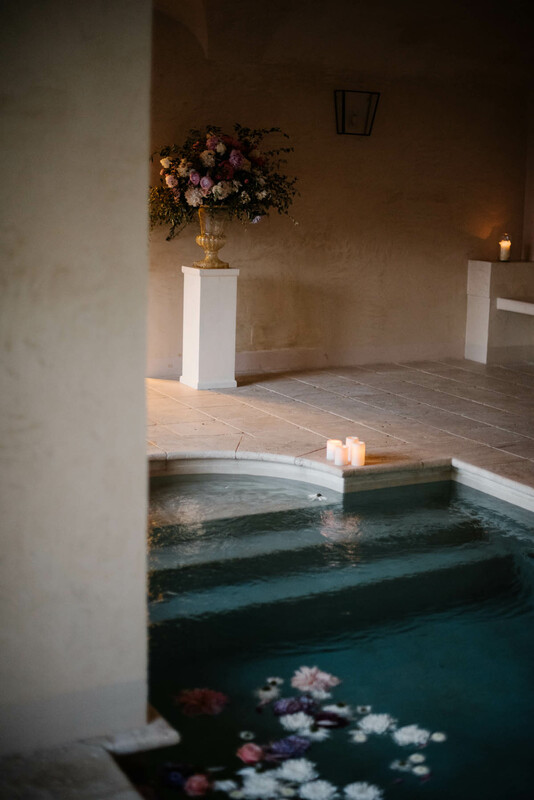 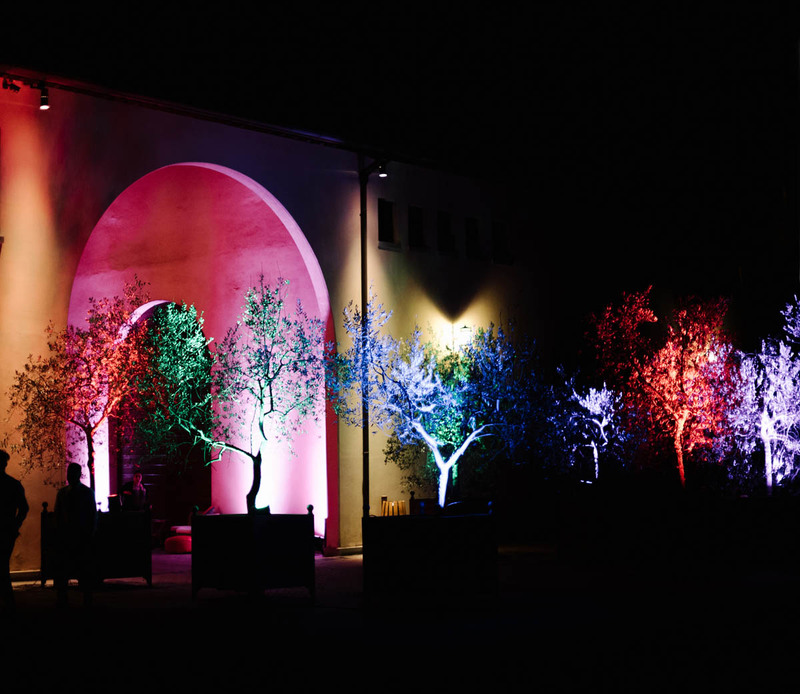 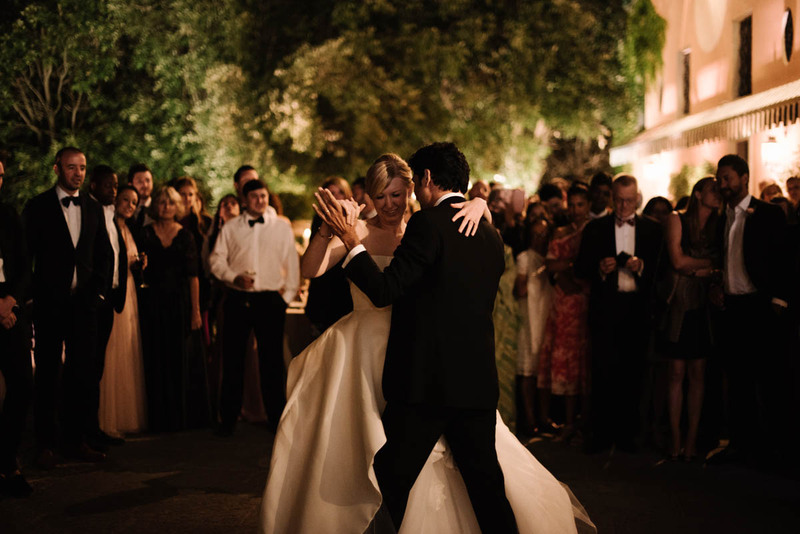 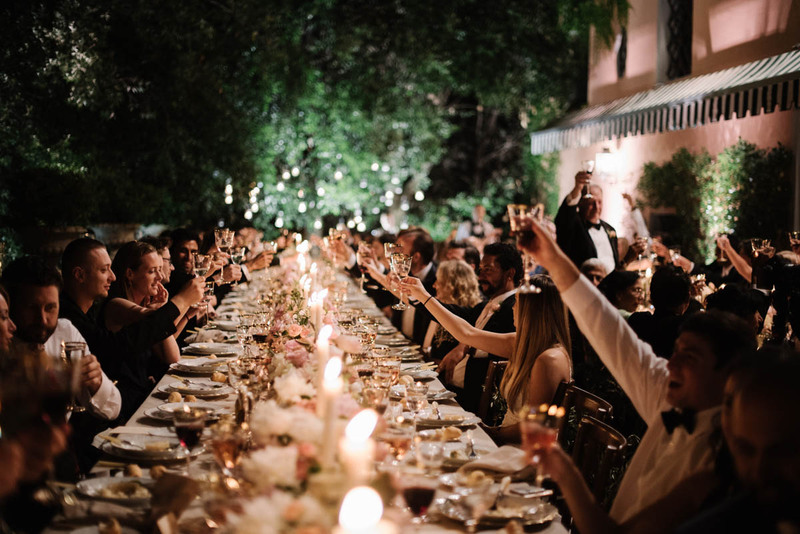 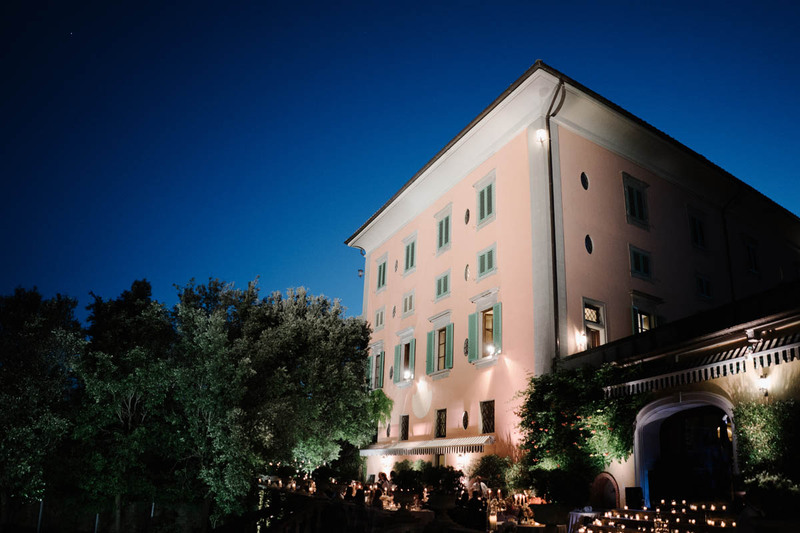 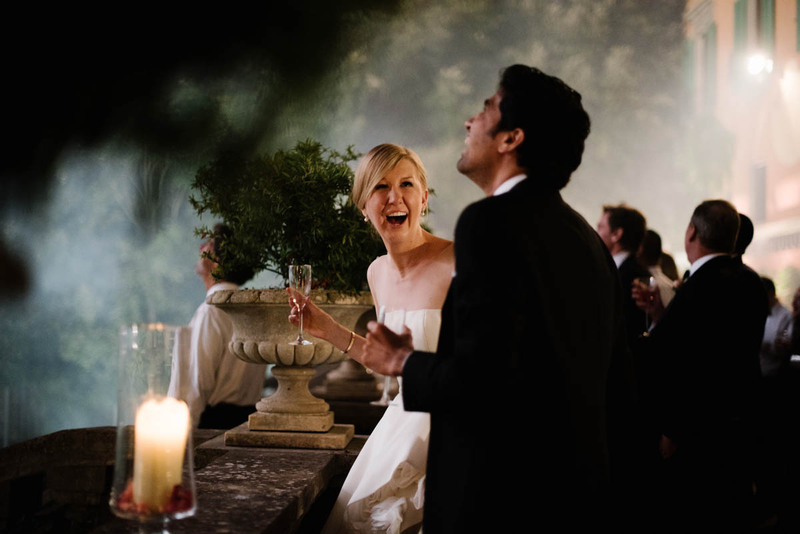 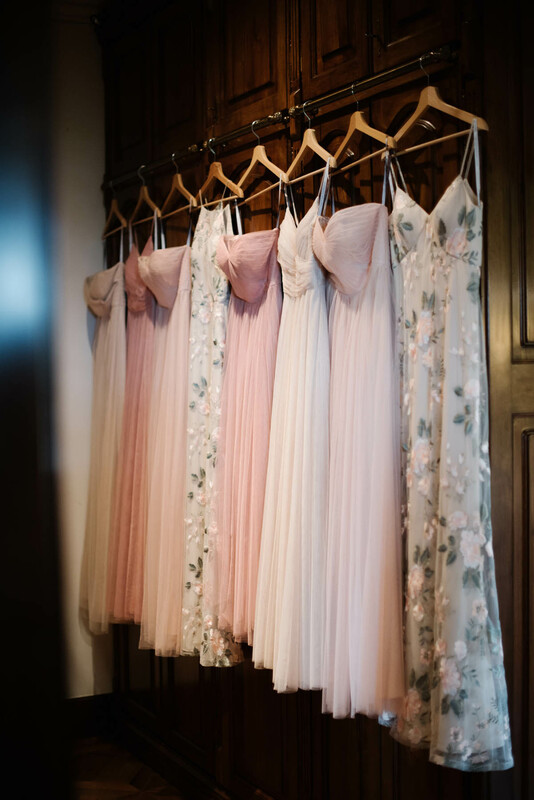 This was the third day of Kristen and Gaurav’s three day wedding extravaganza at Il Borro, the Ferragamo villa and vineyard deep in the Tuscan countryside. 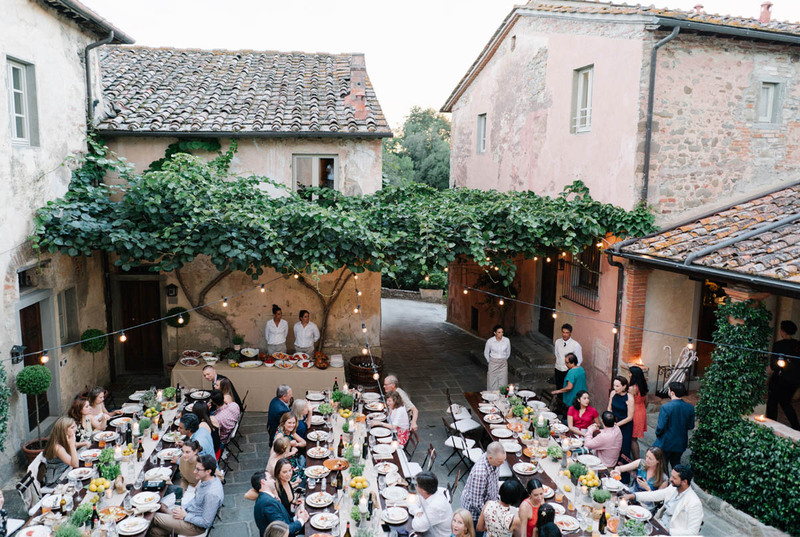 The first day featured a vintage Italian welcome dinner which you can see at the end of this post. 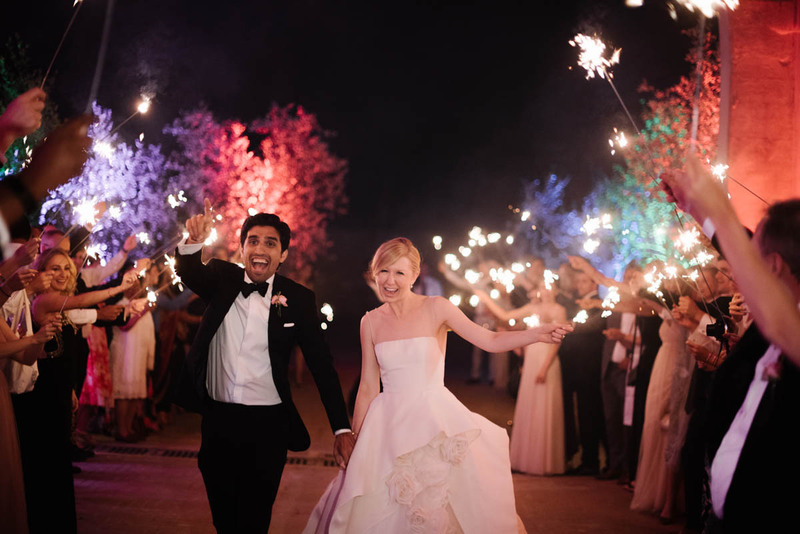 The second day was the colorful and joyous Indian wedding celebration. 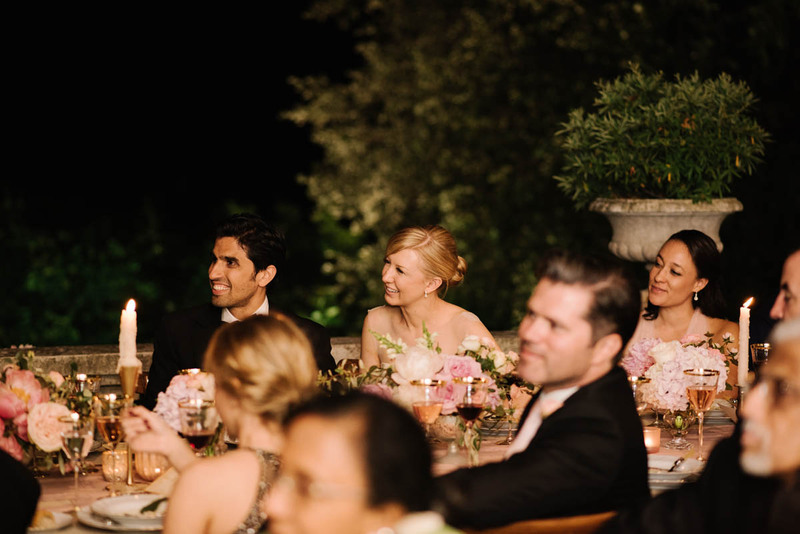 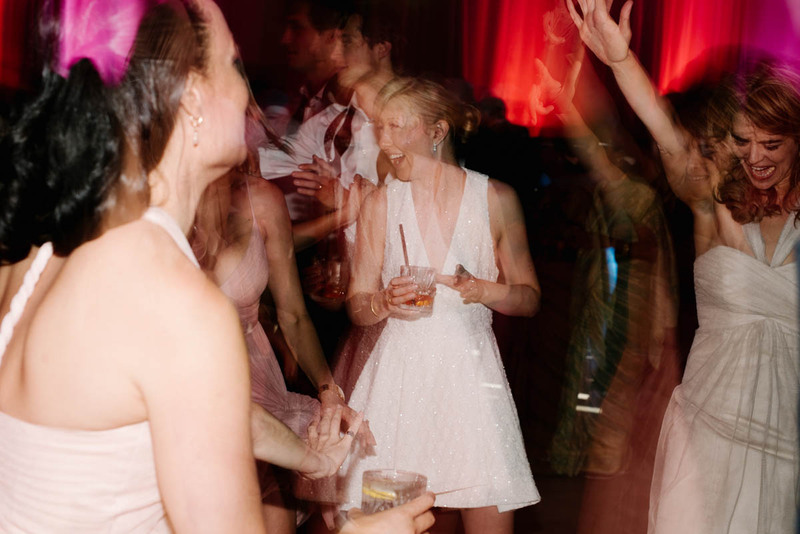 And the third day hosted the oh so chic western wedding. 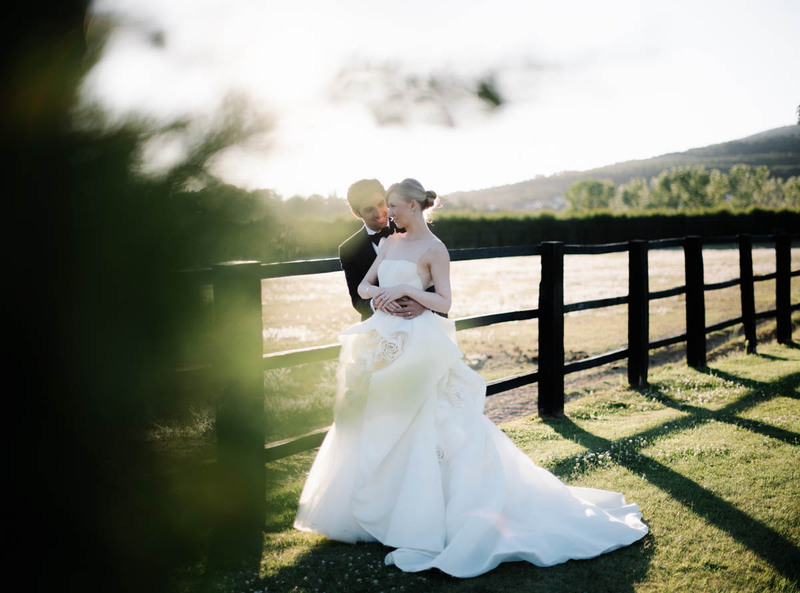 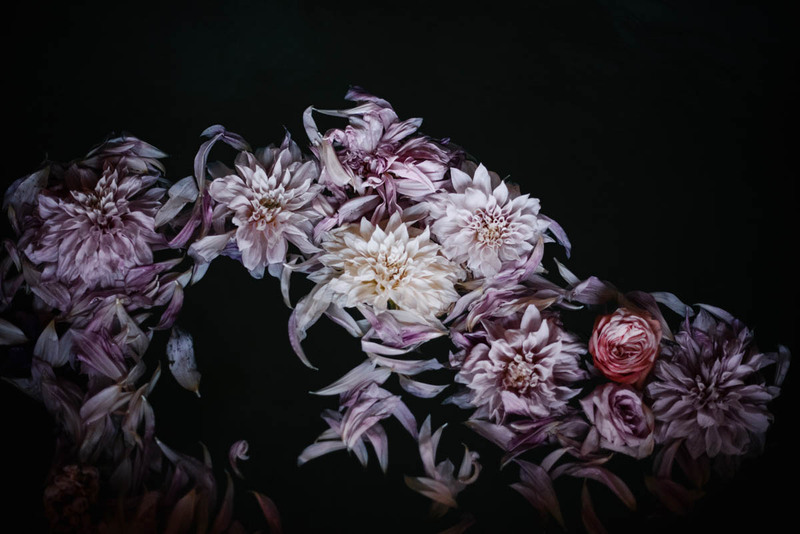 All three days were featured here on the wedding blog Over the Moon. 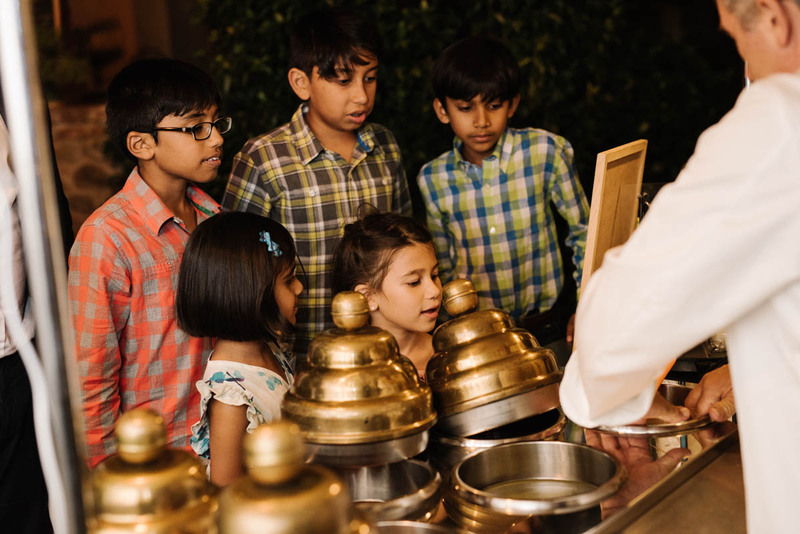 The Indian Hindu wedding celebration can be seen on our own website here which is not to be missed. 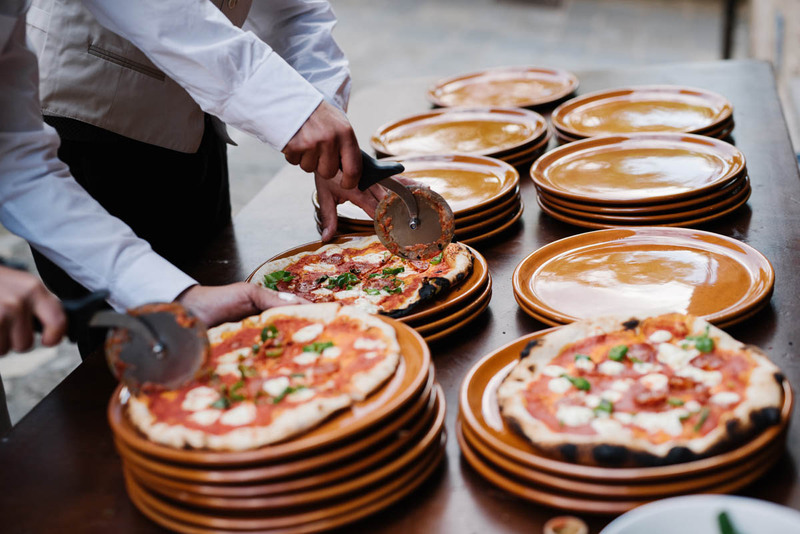 Gelato and pizza and wine, oh my! 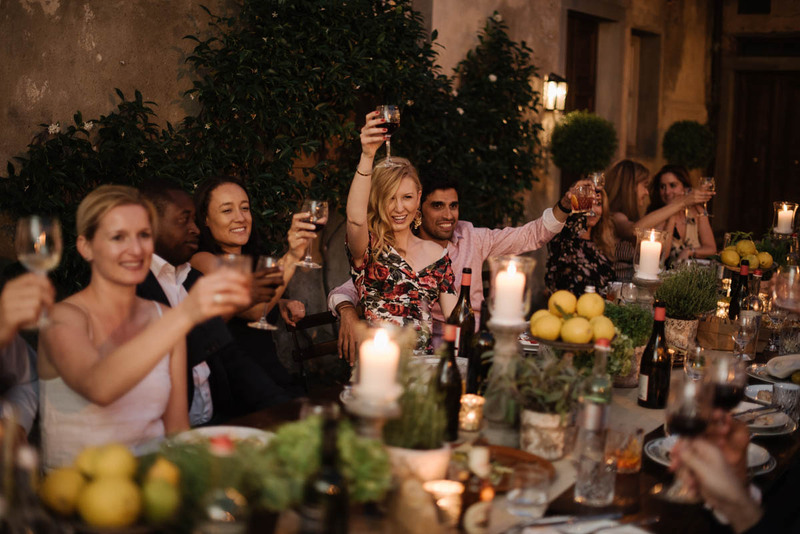 The welcome dinner was a fun and delicious way to kick off the festivities and was just the beginning of so much mirth and merriment to follow. 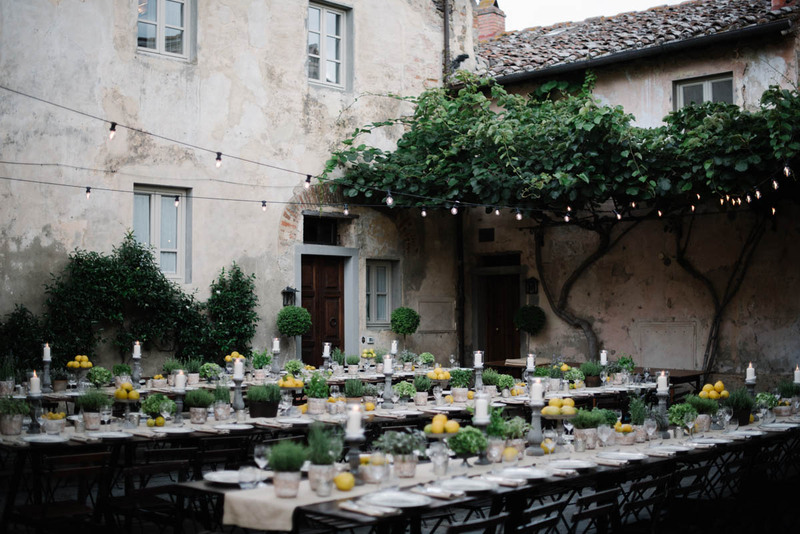 The Medieval hamlet was fitted out with exposed wood tables. 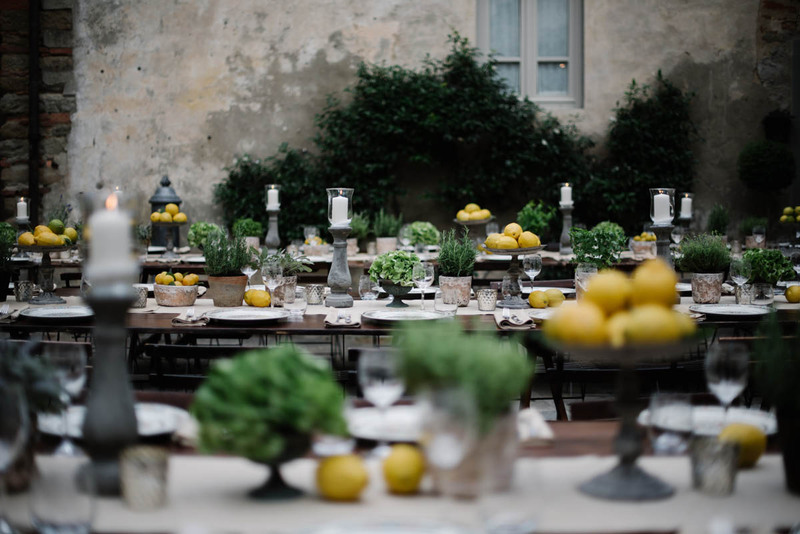 The theme was lemons and herbs and vintage, classic Italy. 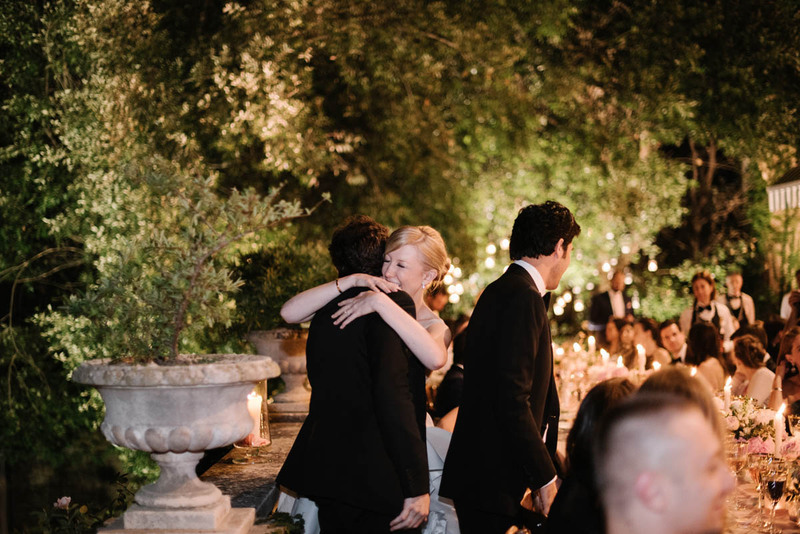 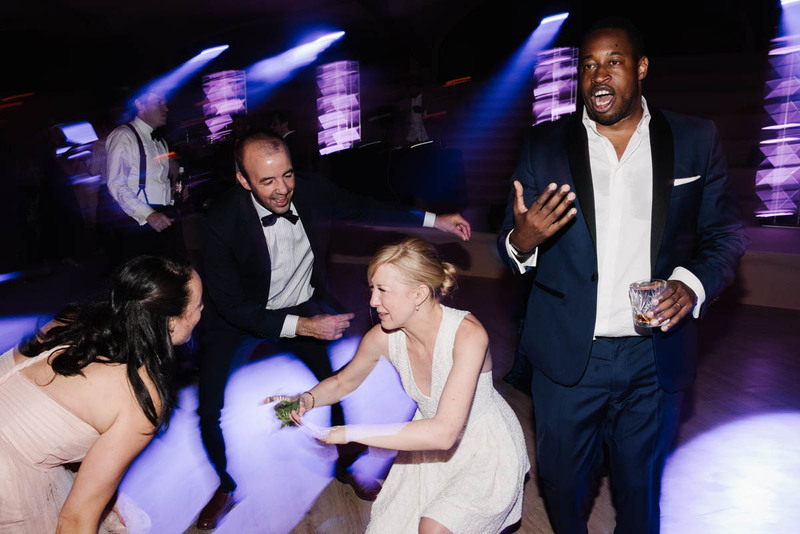 It was the perfect way to welcome their friends and family who had traversed the world to be here with them to celebrate their wedding. 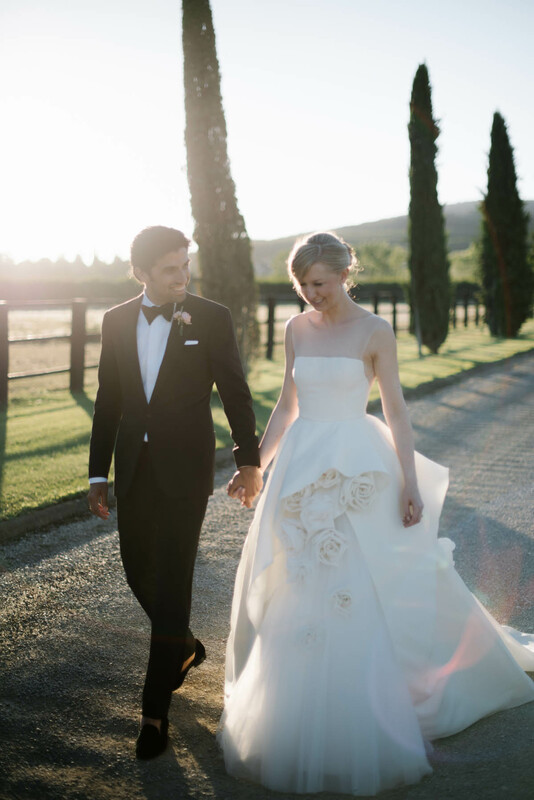 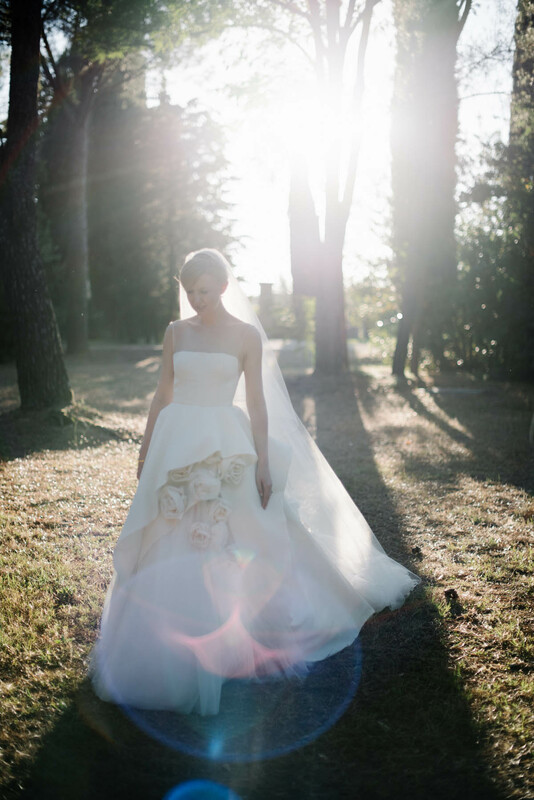 The bride was in a Dolce and Gabbana dress to suit the occasion. 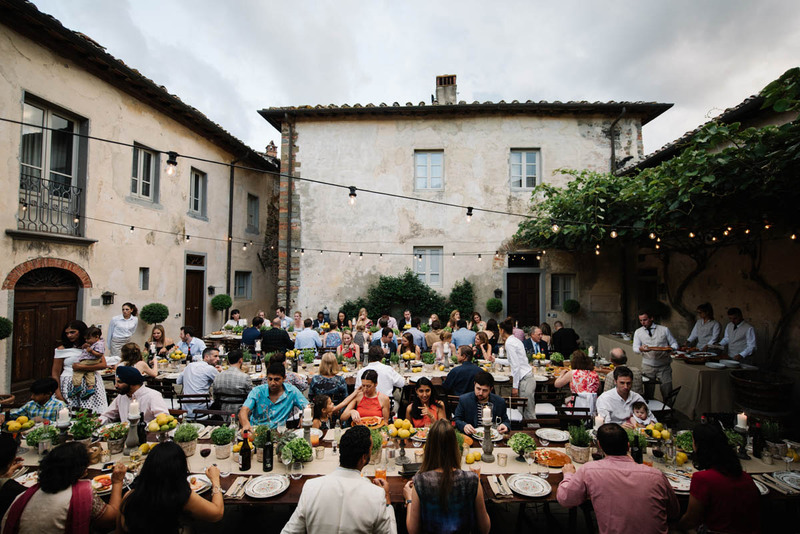 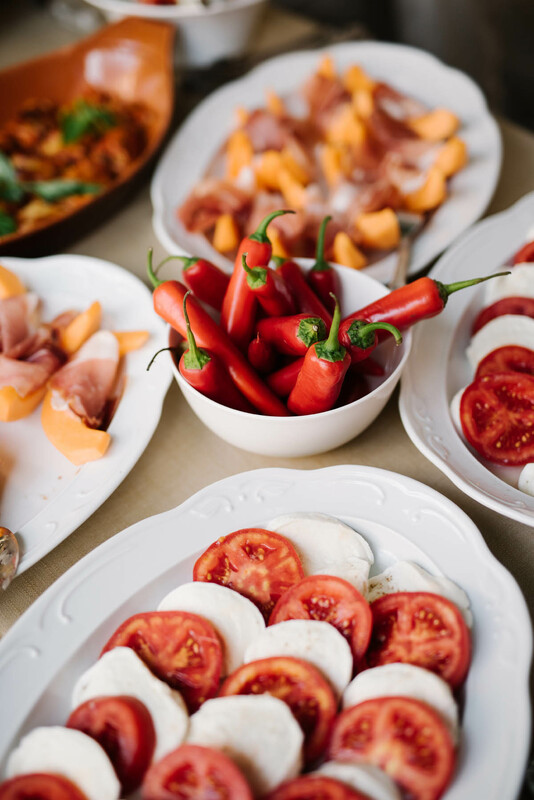 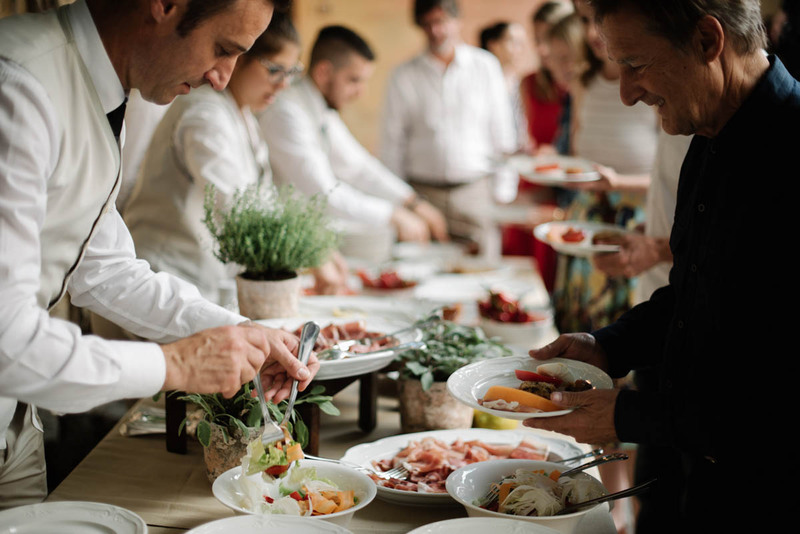 a classical Tuscan feast with traditional, local antipasti and pizzas hot out of the wood burning oven. 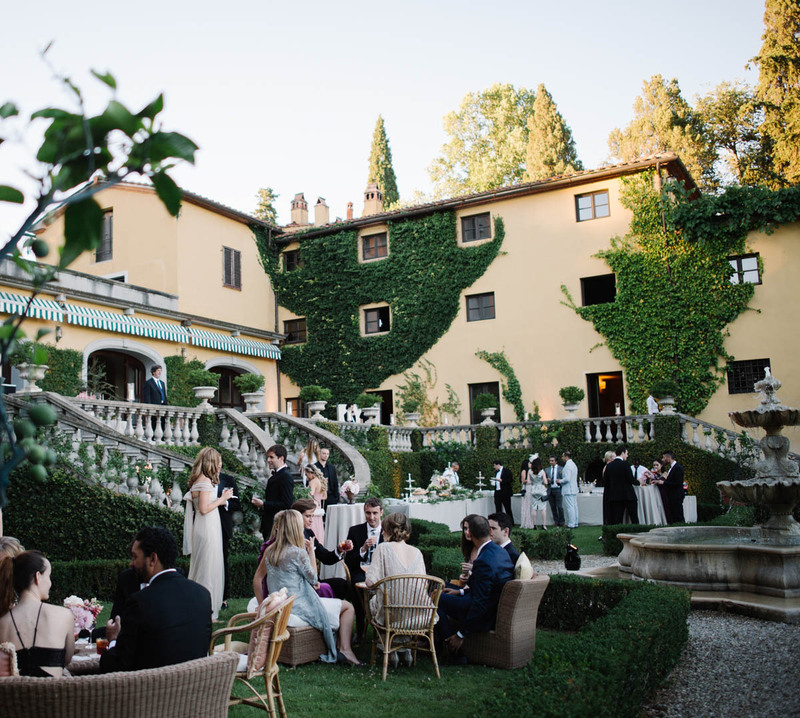 The weather forecast had been threatening rain for the evening. 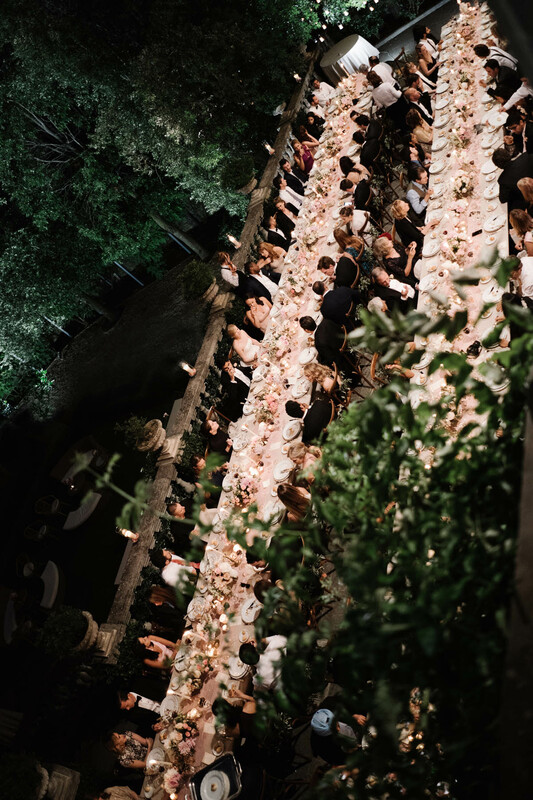 We were lucky that we sneaked by with just a few drops during the dinner. 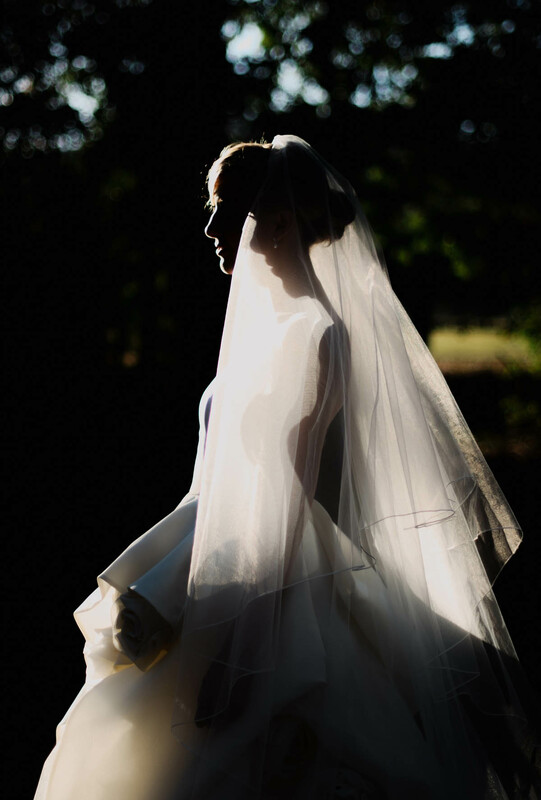 Literally I watched as the dark clouds and sunshine passed side by side overhead not knowing which side we would shortly be upon us. 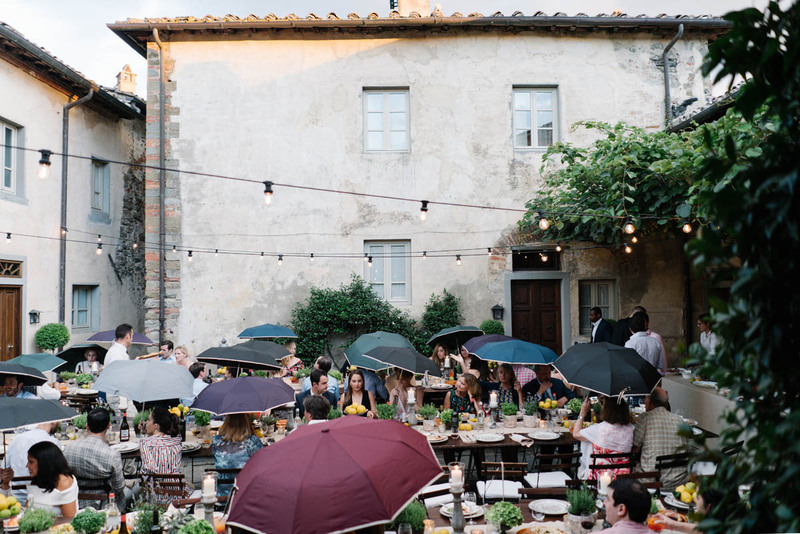 It was a little surreal and we had plenty of umbrellas at the ready. 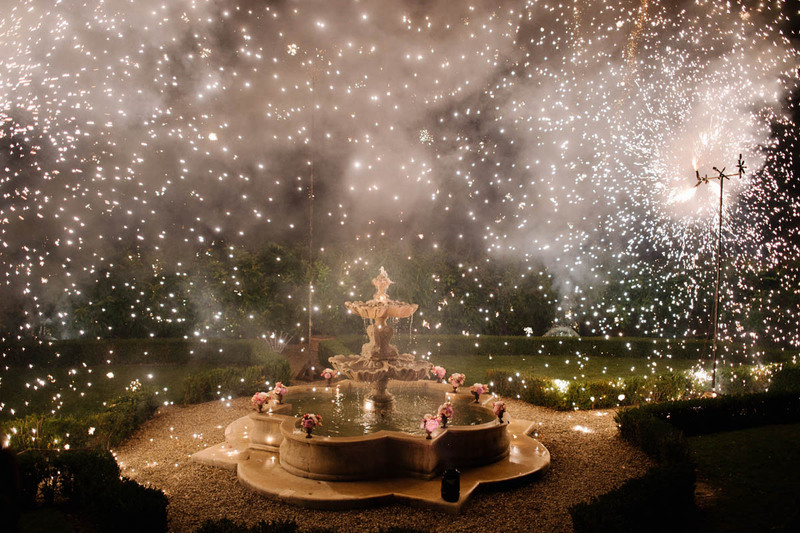 After 5 minutes of sprinkles the rest of the evening rocked along without a care in the world. 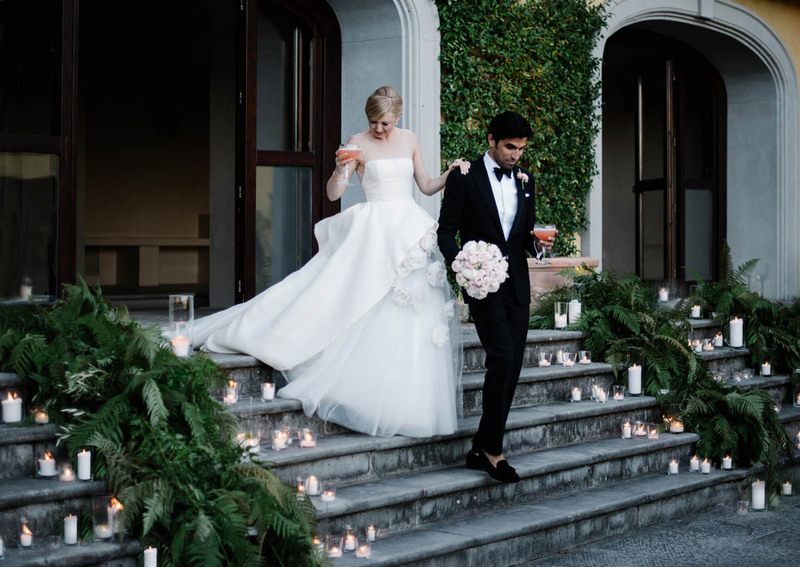 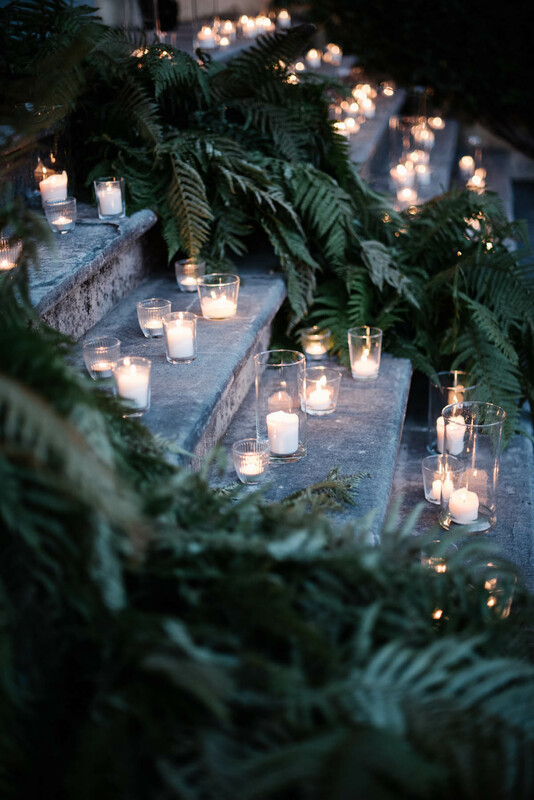 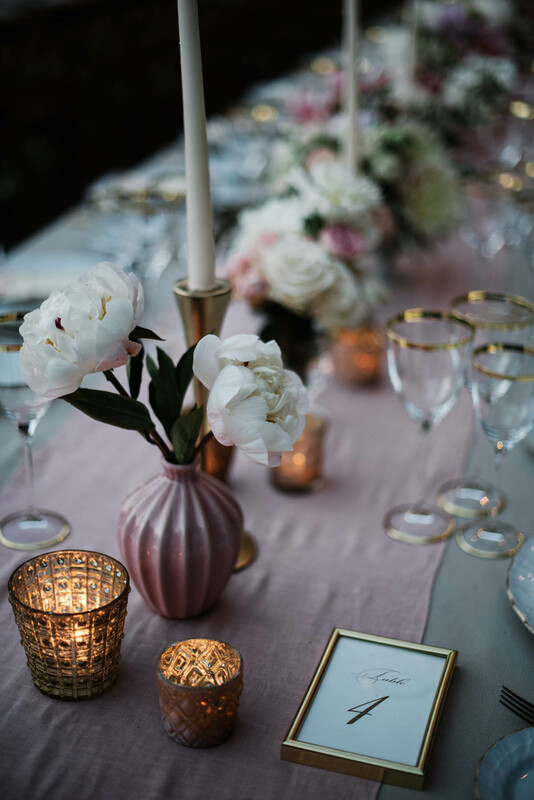 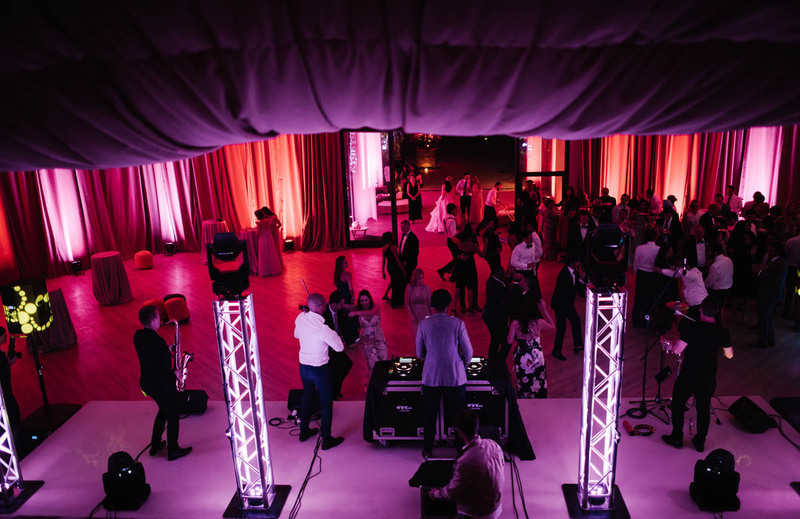 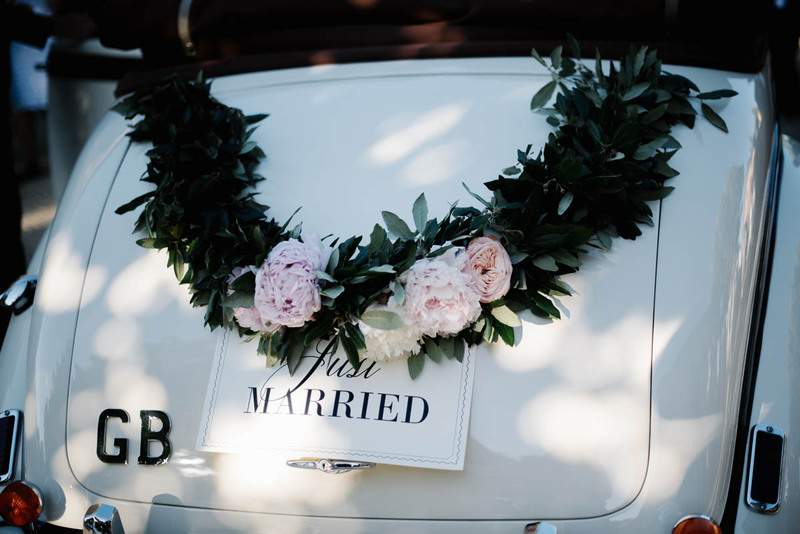 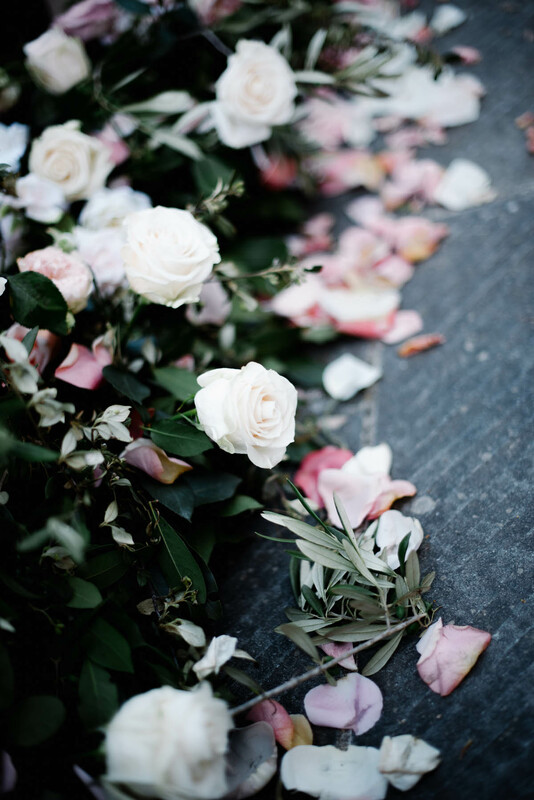 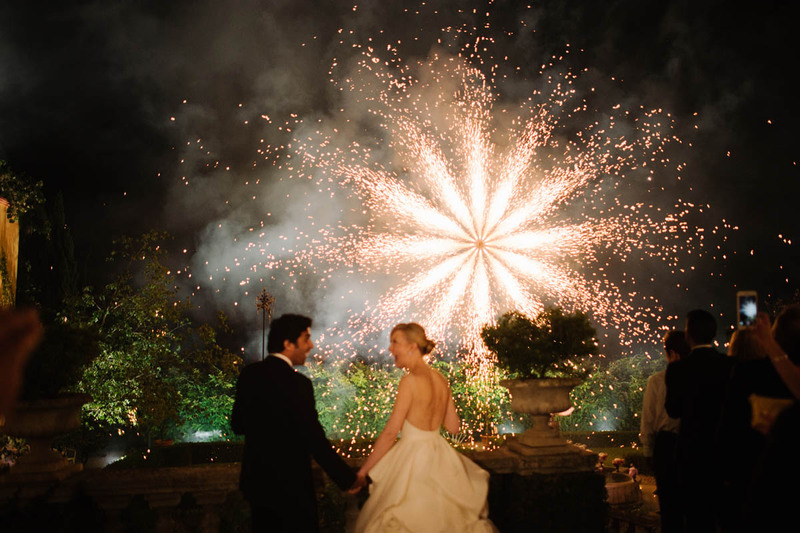 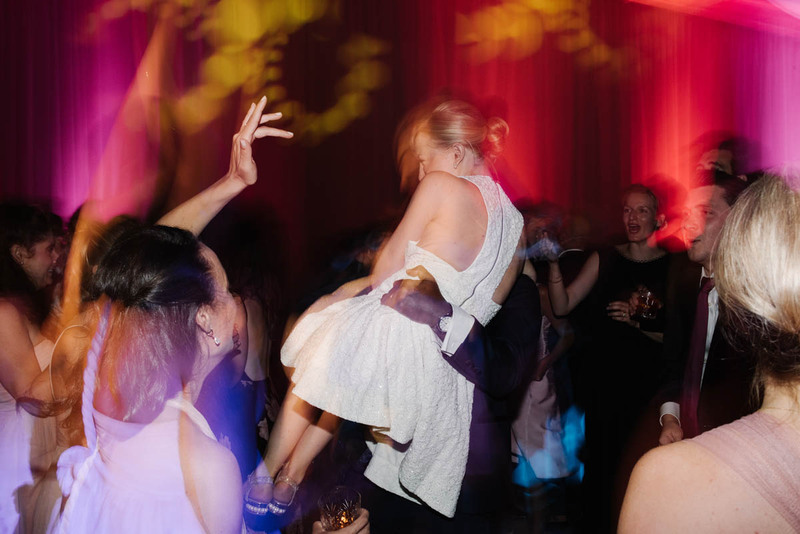 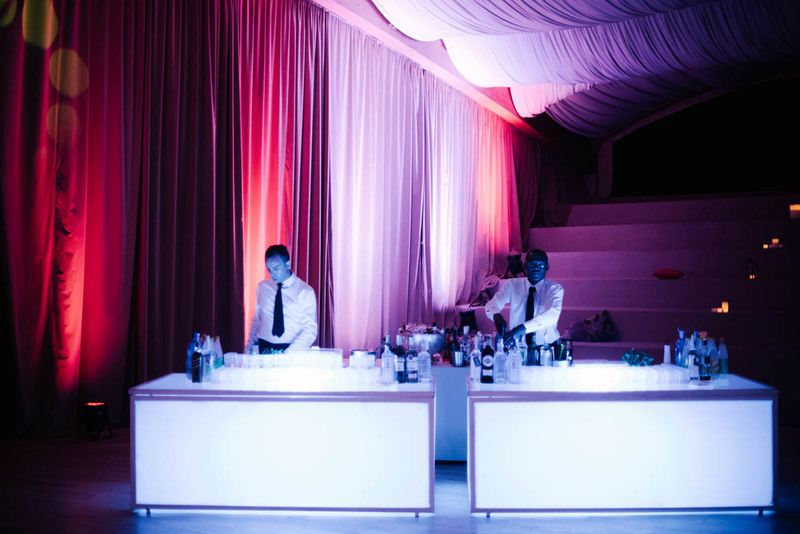 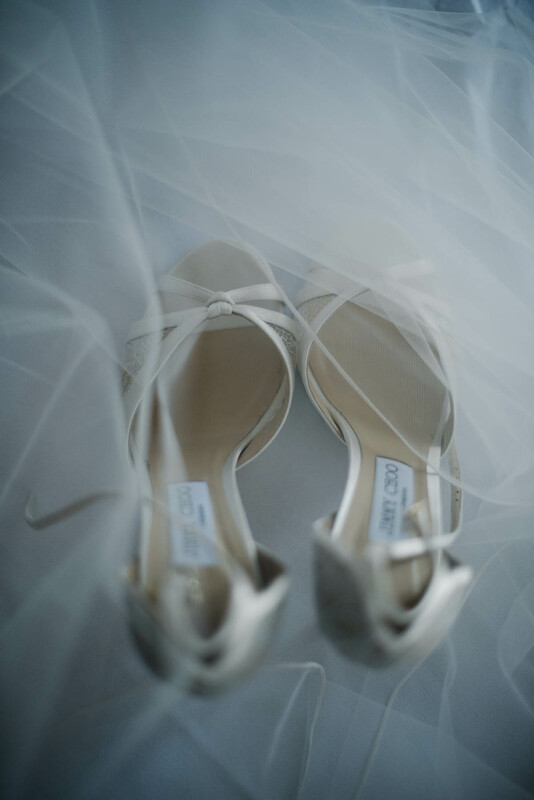 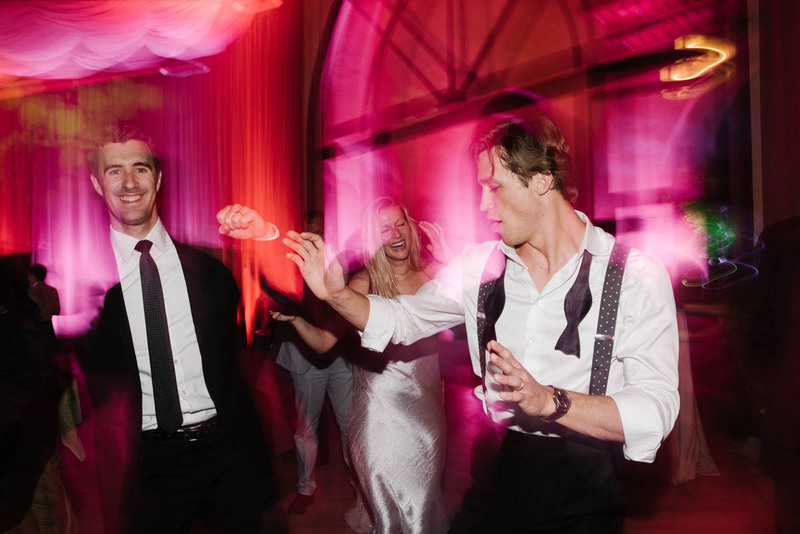 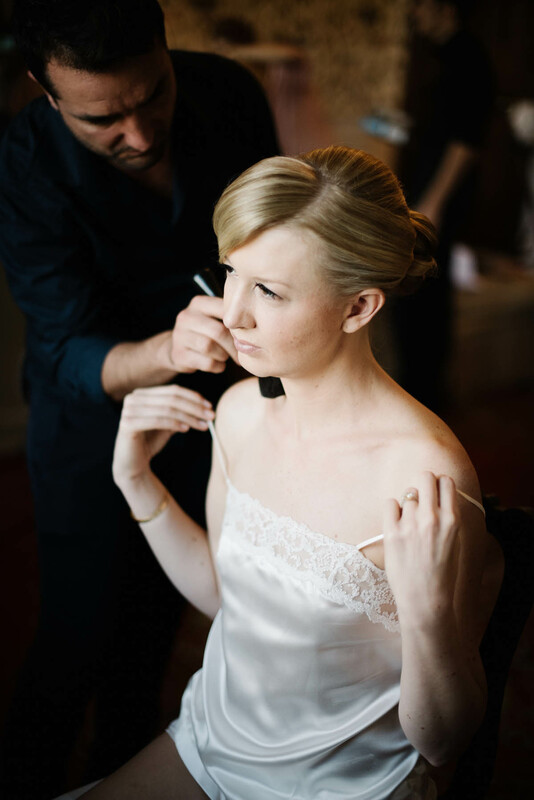 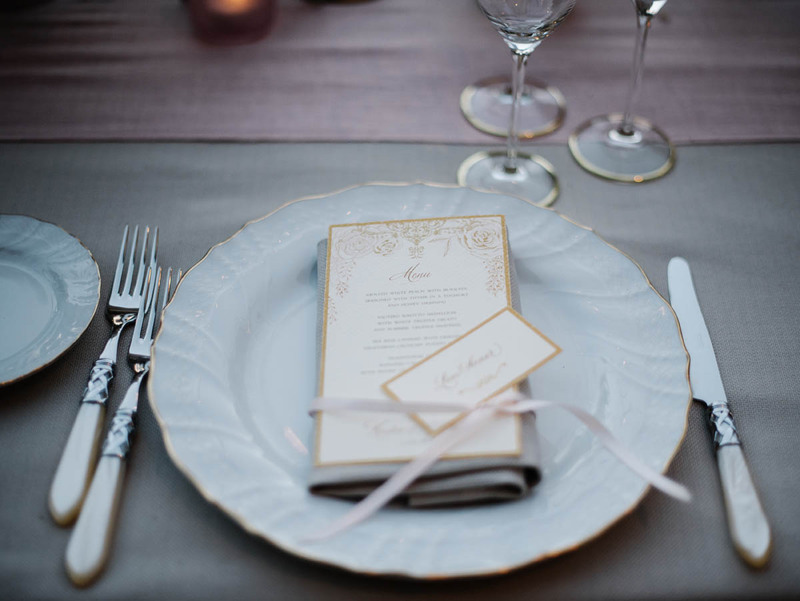 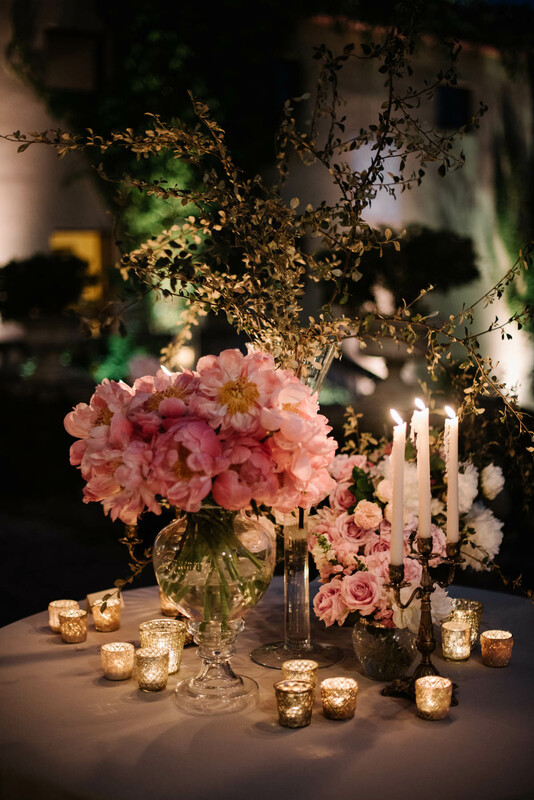 To see this wedding feautured on the uber chic blog “Over the Moon” click HERE. 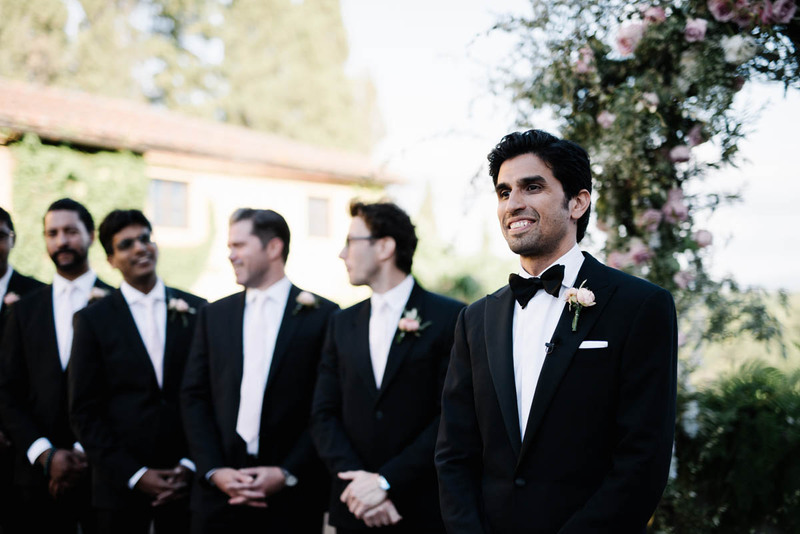 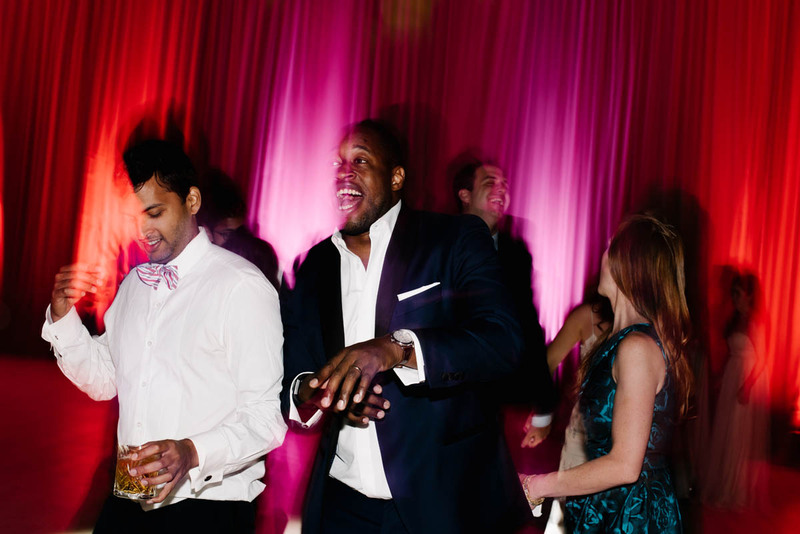 To see the Indian Hindu wedding celebration click HERE.